A number of states require that in order to file for divorce you must show cause. Other states are what are called no-fault divorce states, which means you don’t necessarily have to show just cause as to why you don’t want to be married to your spouse any longer. Florida is a no-fault divorce state. This means one party can seek a divorce without providing a specific reason aside from not wanting to be married anymore. 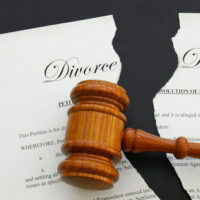 The party filing for divorce can state the marriage is “irretrievably broken,” which keeps the court from having to determine who is at fault for the breakup. It also can spare both parties from having to dredge up painful personal issues in court. All conditions must be met to proceed. If even one is a “no,” then you must file for a regulation dissolution of marriage. Although Florida is a no-fault divorce state, situations that would be grounds for an “at-fault” divorce in another state can still matter in Florida. Take adultery for example. If one spouse committed adultery, that can come into play for custody, property division, and spousal support. Moral fitness is one of the factors that comes into play for child custody decisions, and if one spouse can prove the other committed adultery, it could have an adverse impact on the judge’s decision. Florida is an equitable distribution state, so marital assets are presumably divided equally. However, if there is proof of adultery, the judge may order a different division. This is primarily only if the cheating spouse squandered away marital assets on their non-marital partner. If the court considers it a waste of their combined estate, they may reduce the adulterer’s share to compensate the other spouse to help reach an equitable distribution. Florida law does allow for adultery to factor into spousal support awards, but some courts struggle with that given the status of Florida laws on ‘no-fault’ divorces. The judge may increase the wronged spouse’s award only if the adulterer’s behavior managed to increase the other spouse’s financial needs. If you’re considering filing for divorce, even a simplified one, it’s best to talk with a knowledgeable Florida divorce attorney. Contact the Law Offices of Schwartz | White today to schedule a consultation. Let one of our experienced family law attorneys help with your divorce and any other related family law matters.